The use of the word “transportation” in our title refers to the type of projects we work on. These can include freeways, urban streetscapes, bicycle facilities, and transit facilities which include light rail, bus rapid transit, and train stations as well as how the tracks for these are integrated into a community. 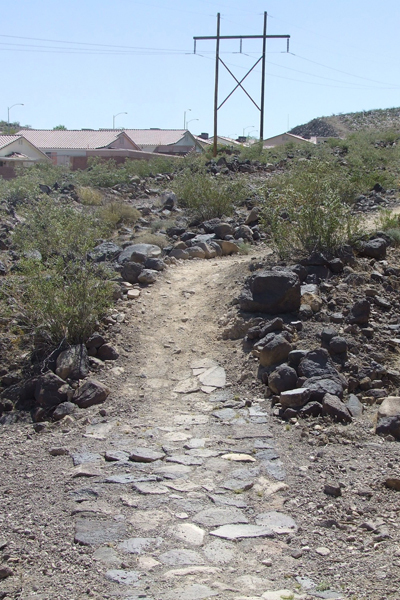 Our work also includes non-vehicular transportation infrastructure, such as recreational and multi-use trails (one of the coolest of these we did was a mountain bike trail up the side of Black Mountain near Henderson, Nevada…actually, I guess that would make it the hottest trails we worked on…). Transportation Landscape Architecture is involved with many aspects and stages of a transportation project. Examples include project scoping, environmental work (permitting, mitigation design, etc. ), project design (aesthetics of the constructed and natural environment, such as hardscape and site revegetation), sustainable design, complete streets, context sensitive solutions, and cultural landscapes to name a few. As a generalist profession, Landscape Architects have the training and expertise necessary to contribute to transportation projects because we, by training, look at projects holistically. The fact that we are also trained to work collaboratively across disciplines, I have found, is an added bonus to the projects. In addition to my design work, I often conduct visual impact assessments as part of the project’s environmental phase. 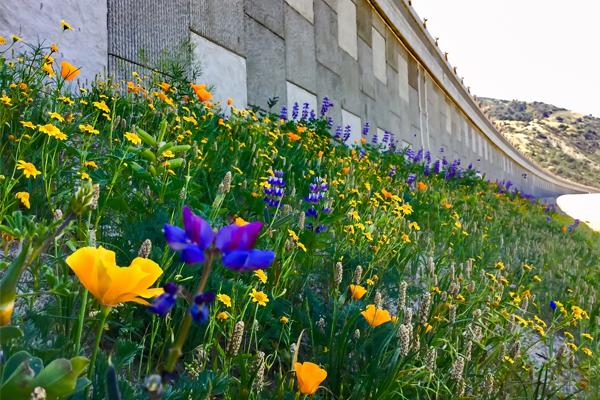 In fact some states, such as California (Caltrans), requires all visual assessments, or VIAs, be completed under the supervision of a Landscape Architect. This requirement speaks to our profession’s ability to consider the entire project when preparing the analysis. Beyond a project’s environmental phase, Transportation Landscape Architects are involved with developing a project’s aesthetics and landscape (site work and revegetation). 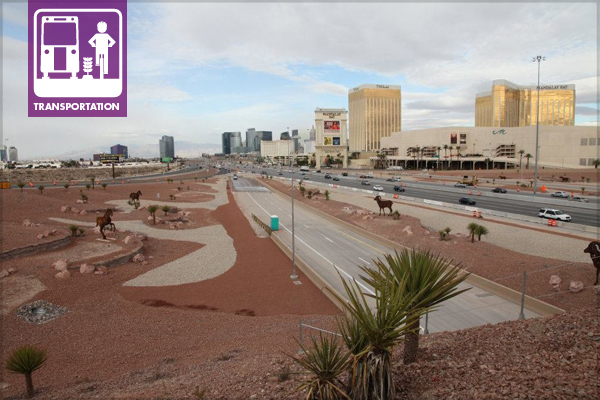 Unlike more traditional LAs, Transportation LAs have unique design criteria that must be addressed—roadway clear zones, sight distances, and universal access, to name a few. These criteria inform our designs. To further complicate matters, transportation projects often have very limited maintenance and endure abuse typical to a public space. These constraints make transportation projects less flashy, but, nonetheless, vital to the community. Given that highways and freeways are sometimes the only way that a traveler or tourist interacts with a community they are traveling through, it is sometimes the only way for a community to provide an introduction or identification. In many ways, highways and freeways are the new Main Streets (albeit one with a 65-mph speed limit! ), so being able to help a community craft the image they want to present to the world at these key locations is very rewarding. Part of how we deal with the conundrum created by the limitations imposed on the design with a community’s desire to create a presence is to use sustainable design principles. These include native and adapted plant materials and mulches to reduce water use, “bullet-proof” species selection (i.e. low maintenance), and structural aesthetics that discourage tagging (graffiti) while creating project definition. It is a delicate balance of artistic desires and cold, hard reality that makes a transportation project’s design work. So, the next time you are waiting at the light rail station or buzzing down the highway and you notice something cool in the landscape, thank a Transportation Landscape Architect. But don’t be surprised if they weep with appreciation at the recognition—such is the life of the unrecognized. Jeff Lormand, ASLA, is a Transportation Landscape Architect at Parsons. Well stated! Thanks for posting. Very helpful. Thanks it came just when I am making a proposal for an Estate Parkway.